Hans Rosling is pretty passionate about statistics, which makes for interesting viewing. Also, check out his website, gapminder.org, where you can play around with the data yourself. 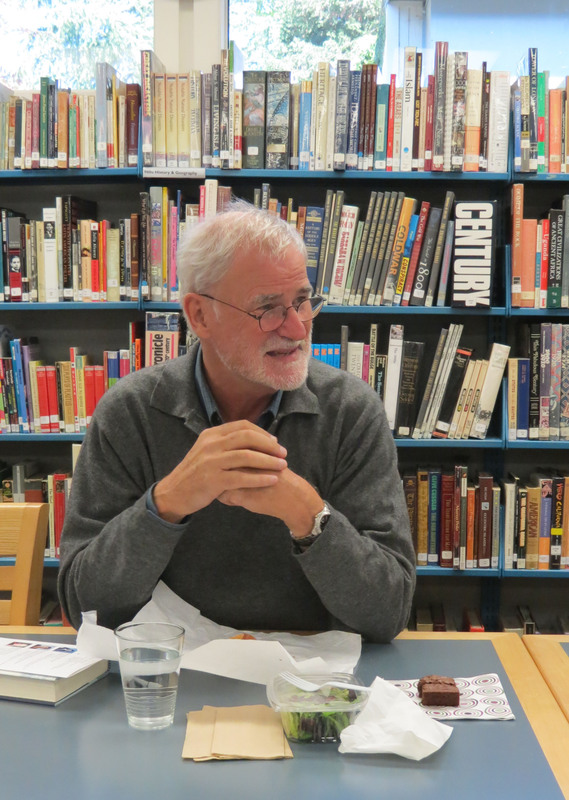 Guest author and former Country Day headmaster, Selden Edwards, came to our High School Book Club meeting on November 14th. He entertained the faculty and high school students with the story of how he got his first book published, which definitely made clear just how dedicated you need to be to become a published author. In the evening he spoke to a group of about 30 Country Day faculty, parents, and friends, and signed copies of his books. Many thanks to Selden for coming to visit. If you haven’t yet read The Little Book or his new book, The Lost Prince, you can come by the library to check out a (signed!) copy.